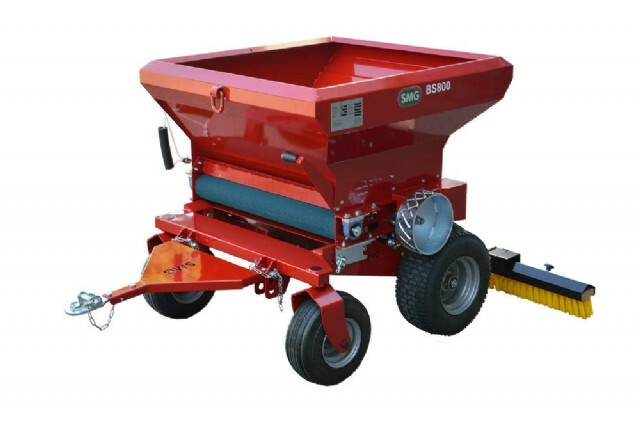 The ground driven pull behind spreader BS800 applies dry and wet infill materials to artificial turf. The output of the infill material is adjusted by the sliding valve. The applying begins with the lowering of the container and occurs by the belt. The BS800 can be operated by various vehicles with more then 10 HP.